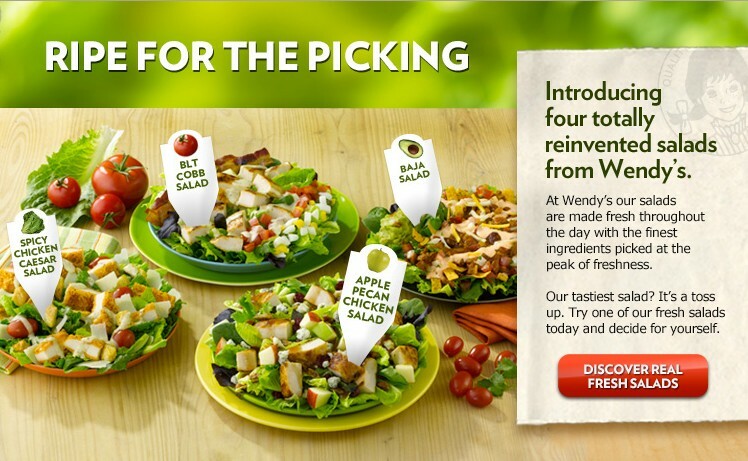 Psychic Lunch: Fast Food Salads? Nope, won't trust 'em. He's right, of course; these faux-salads which have more meat, bread or chips, and cheese than a "real salad" should sometimes top out at 740 calories, 49g of fat*, 50g carbs, and 47g protein. But I'd like to take a step back and point out the obvious: This is a fast-food meal. You can't trust the ingredients they use to make their food. As Kathleen Slattery-Moschkau of The Kathleen Show said on July 8th in her monologue about "where I am with meat," the animals they use for these kinds of foods are raised in CAFOs - which always force horrible, disease-causing conditions on them. This produces the kind of food that you do NOT want in your body. As for the vegetables, cheeses, nuts, chips, and other parts of these salads, I don't trust them either; if they're not raised organically, the odds are not only good but great that they've been treated with all sorts of chemicals and radiation that poison and kill the food you eat. Live bodies need live food - and that means pure and clean, organically-raised food. So, yay-to-you, Wendy's, for coming out with more salad offerings to trick people into thinking they're doing their body right. But I'm not buying it. * Oh, and don't fear the fat. Well, fear this fat, sure - but don't go thinking that all fat is bad, because many fats are essential!